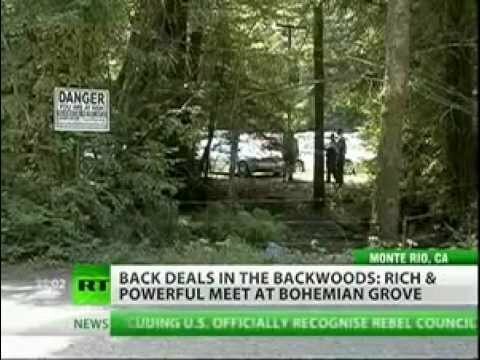 Occupy groups from Santa Rosa, San Francisco, Portland, Sebastopol, and Petaluma, are joining some twenty other social justice activist organizations to protest the powerful one-percent elites partying at the Bohemian Grove in Monte Rio, California July 14-29. On No Lies Radio -- Click here to listen. Bohemian Grove is a 2,700-acre campground located north of San Francisco in Monte Rio, California, belonging to a private San Francisco-based men's art club known as the Bohemian Club. 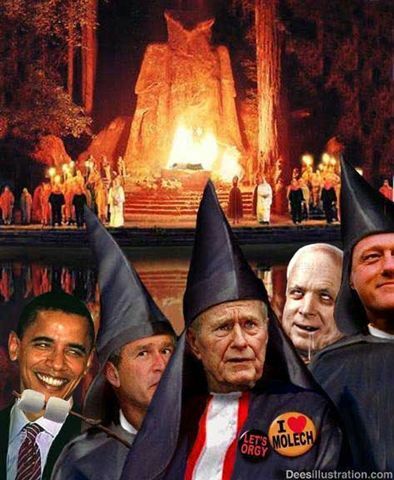 In mid-July each year, Bohemian Grove hosts a three-week encampment of some of the most powerful men in the world. For more information on Truth Action visit their website here. 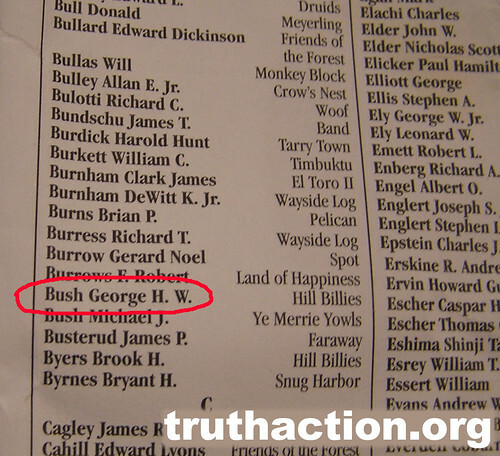 Activists from truthaction.org have obtained the official guest list for Bohemian Grove's 2008 midsummer encampment along with a map of theGrove's facilities. According to the guest list, this year's attendeesinclude George H. W. Bush, David Rockefeller, Henry Kissinger, DonaldRumsfeld, Colin Powell and several former CIA directors. Also attendingare two members of the Grateful Dead, one of whom is camping with theelder Bush. 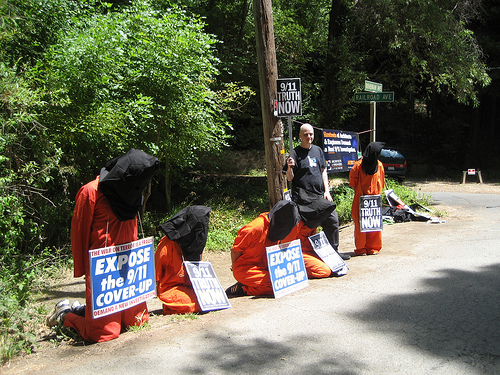 During an action at the entrance of the elite retreat,several 9/11 truth information packs were accepted by Bohemian Grovecampers and taken into the grove, including one by former CIA DirectorJames Woolsey's bunkmate. Tom Ridge was outside the Crown Plaza Hotel in Nashua, New Hampshire rallying the people while they waited for John McCain, Gary Franchi was there to ask Ridge about a host of topics including the Amero, the NAU, 9/11, membership in the CFR and if he had ever gone to Bohemian Grove. His responses revealed alot about the topics especially Bohemian Grove. 2ND CONFRONTATION : WeAreChange Minnesota - Bill Clinton Shamed In Public Confrontation! Note that there is a long discussion thread going on at Huffington Post about this incident. - r.
Bill Clinton confronted on Bilderberg, Bohemian Grove, 9/11 and other topics as he tries to debate truthers but ends up biting off more than he can chew and is clearly embarrased and shamed. The full version of the video that the news networks didn't want you to see!